The Canon PowerShot SX40 HS is the latest super-zoom digital camera made by Canon. Announced barely a month ago, the camera features a 12 megapixel high-speed CMOS image sensor, large 35X optical zoom lens with image stabilization, full manual controls (along with automatic and scene modes available) and Full HD movie mode. The Canon PowerShot SX40 HS is for most part an evolutionary upgrade to last year’s model, with the changes in a nutshell being the new CMOS sensor, a leap from Standard HD to Full HD movie recording capabilities, high-speed shooting modes, new processor and improved image stabilization system. The Canon PowerShot SX40 HS has three main competitors from Nikon (Coolpix P500), Olympus (SP810 UZ) and Sony (Cyber-shot HX100V). Is the Canon SX40 the best value for your money? Find out now. The Canon PowerShot SX40 HS doesn’t come with internal memory or a memory card, so you’ll have to use your own with the camera right away. The PowerShot SX40 HS takes SD, SDHC and SDXC memory cards, and performs noticeably faster with a high-speed variant of any of those cards. Depending on your needs, it might be a good idea to start with a 8 GB high-speed memory card or with a bigger 16 GB or 32 GB card if you plan on using movie mode a lot. The Canon PowerShot SX40 HS uses the new NB-10L rechargeable battery and comes with a standalone battery charger (which is nice compared to USB chargers). The new battery promises a very slight increase over the old SX30, though the PowerShot SX40 still remains in ‘average’ territory in terms of battery life. The Canon PowerShot SX40 rakes in about 380 shots per charge using its 2.7 inch LCD, or a slightly better 400 shots per charge using the viewfinder. The Canon PowerShot SX40 has a decent range of accessories. There’s an AC adaoter available, optional lens hood, lens filter adapter (for attaching 67 mm filters) and various external flash units. The Canon PowerShot SX40 has a standard-size hotshoe that allows you to use either Canon’s official flash units (current models include 270EX, 430EX II and 580 EX II) or third party flashes; though only Canon’s models will sync automatically with the camera. There aren’t any conversion lenses available for the camera. Since all of the changes are on the inside, it should come less as a surprise that the Canon PowerShot SX40 HS looks identical to the PowerShot SX30 from last year that it replaces; save for the name of the camera on the front. The camera is made of plastic and metal, and it feels sturdy, though certainly not like a tank as you would experience with the Canon G-series or mid-range SLR. The camera measures a relatively compact 122.9 x 92.4 x 107.7 mm (4.8 x 3.6 x 4.2 inches) which isn’t pocketable but still smaller than entry-level SLR cameras out there. In terms of weight, the PowerShot SX40 is a decent 557 g (19.6 ounces) empty, and just 43 g (1.6 ounces) more when loaded with the battery. Ergonomics are good for most part, with plenty of room for both hands to go, a large lens barrel for your left hand and buttons which are ample in size for easy pressing with your thumb. The camera has a single control wheel, and it’s blended with the navigation pad. However, the scroll wheel provides no tactile feedback at all when scrolling, making it impossible to tell how many steps of exposure you’ve adjusted or menu items you’ve moved through unless you look directly at the display. The camera also lacks any sort of control ring, or any controls for that matter, around the lens barrel. The Canon PowerShot SX40 has a mind-boggling 35X optical zoom lens equivalent to 24 – 840 mm which probably can handle just about any picture taking situation there is (and especially nice for movies). However, the lens has so much zoom, you’ll probably need a tripod/steady surface and/or very good lighting to take sharp photos at the maximum end of the zoom range. The camera’s 35X lens has an aperture range of f2.7 – f5.8, which is good at wide-angle but dim at maximum zoom. The camera has an optical image stabilization to help reduce chances of taking blurry photos (though it won’t work wonders if you try to push the limits of shooting at maximum zoom with slow shutter speeds, for example). The PowerShot SX40 sports Canon’s new Intelligent IS feature, which allows the camera to automatically switch between 6 (!) different stabilizer profiles (though you cannot pick them manually nor know which one of them the camera is using), depending on shooting scenario. There is a pair of stereo microphones hidden in the shadows above the lens along with the autofocus assist/self-timer light above the SX40 HS logo. Directly above the lens is the camera’s popup flash which is manually opened and closed. The flash is fairly powerful at wide-angle, reaching a range of 7 meters (23 feet), though that number drops quite a bit to just 3 meters (10 feet) max with the lens at telephoto. Moving on to the back of the Canon PowerShot SX40 HS, we have much to discuss. The main feature here is the camera’s display. The LCD itself is not anything to boast about; measuring 2.7 inches (smaller than the competition; Olympus, Nikon, Panasonic and Sony’s offerings all have 3 inch displays) with a decent resolution of 230,000 dots and good legibility indoors and under bright light. However, the useful thing here is the LCD is mounted on a side-hinge, which allows you to flip it out and rotate it up/down for creatively-angled shots or rotated forwards to take self-portraits. In contrast, the competition from Nikon, Panasonic and Sony have hinges connecting the screen from the back, allowing them to be tilted up/down, but not forwards like on the Canon SX40 here. The Canon PowerShot SX40 has an electronic viewfinder above the LCD, complete with a dioptric correction knob to the left side (for glasses wearers). The EVF has just 202,000 dots but is noticeably grainier and less smooth in motion compared to the LCD. With the LCD’s good outdoor visibility and superior viewing quality, the EVF only comes in handy when trying to steady the PowerShot SX40 at high zoom magnifications. The Canon PowerShot SX40 allows you to customize 2 sets of information you’d like to see for the LCD and EVF respectively as shown in the screenshot above. To the left of the EVF is the PowerShot SX40’s customizable shortcut button, which allows you to assign one of many shooting functions to it. It also doubles as the print marking button in playback. To the opposite side, the button with the big red dot is the movie button which lets you start/stop movie recording in any shooting mode. On the right hand corner of the PowerShot SX40, you’ll find four things: the status indicator light near the top, zoom framing assist/playback jump button, playback button and focus point selection (you can set focus point location and size)/delete photo button. The PowerShot SX40 HS has a unique Zoom Framing Assist function which helps you compose photos and track subjects: Pressing the button will make the camera zoom out a little to help you recompose or track your subject and releasing it will restore optical zoom to its original place so you can go ahead and take a photo. Yup, the PowerShot SX40 has manual focus feature that comes with focus magnification and a distance indicator (focusing is done by turning the scroll wheel around the navigation pad. The camera also has a unique focus bracketing feature that takes three photos at three different focus points. The Canon PowerShot SX40 HS has Canon’s classic function menu, which isn’t as fancy looking as the modern one we’ve seen on their other PowerShot, IXUS and ELPH models but definitely more functional (less button pressing involved). You can change a bunch of things in the Function menu, including drive mode, bracketing mode (for focus and exposure), My Colors settings and flash exposure compensation/flash power output. Moving on to the top of the camera, there are a few more things to see: there’s the popup flash, flash mode button on the left side along with the uncovered hotshoe (Canon provides a hotshoe cover with the camera). You get to use any external flash with the PowerShot SX40 but only Canon branded flashes will sync seamlessly and automatically with the camera (otherwise, you’ll have to manually adjust settings on the flash AND camera with a third-party flash). The maximum sync speed of the camera is 1/250 sec and you get to adjust flash settings of your Canon flash in the camera’s menu. Next, we have the mode dial which sports the camera’s manual modes (program, shutter and aperture priority and full manual modes), automatic, sports and other scene modes, along with places for the camera’s Creative Filters and Movie mode. There are also two custom spots (C1 and C2) that allow you to save frequently used settings to these spots. The Canon PowerShot SX40 has a selectable shutter speed range of 1/3200 to 15 seconds and aperture range of f2.7/f5.8 to f8.0. In addition to the mentioned shortcut button and two custom mode dial spots, the Canon PowerShot SX40 also has a Favorites tab in its menu (the star icon) which allows you to put a bunch of frequently used menu items in there. The Canon PowerShot SX40 HS has a bunch of effects called Creative Filters (a new feature, not present on last year’s SX30). Creative Filters has become a staple feature on Canon’s fixed lens models this year and I’ve written an article covering them so you don’t have to hear me endlessly repeating myself. Finally, there’s the camera’s power on/off and shutter buttons; with a zoom controller wrapped around the latter. The Canon PowerShot SX40 HS has two zooming speeds, depending on the pressure you put on the controller: you can move it very quickly or more slowly and precisely. The Canon PowerShot SX40 has a bunch of markings on its lens barrel that allows you to see the focal length (the most commonly used ones on SLR lenses, anyway) of the lens as you zoom. There’s a better view of the camera’s lens barrel here along with the flash button. There’s also the camera’s speaker for sound playback. Over here, you’ll find two connectivity ports hidden under a cover (USB 2.0 High-speed output and HDMI). Down at the bottom, there’s the battery/memory compartment covered by a decently made door and the metal tripod mount (obstructed from view by the open compartment door in this photo. The Canon PowerShot SX40 allows you to customize its shooting display and with everything on it, the camera can show you various settings and exposure information, along with a live histogram and gridlines. The camera also displays a simple battery indicator along with a zoom indicator whenever you use the zoom controller. The Canon PowerShot SX40 also has Canon’s standard-issue menu system, albeit with more items and options to customize the camera. Most of the settings in the main menu are things you’ll be changing less than items in the Function menu; and everything is pretty much self-explanatory thanks to the tooltips the camera shows at the bottom of the screen as you hover over each item. The Canon PowerShot SX40 has an excellent macro mode. With standard focusing, the camera can focus as close as 5 cm (2 inches) to a subject at wide-angle and onwards from 1.4 meters (4.6 feet) at telephoto. Toggle on macro mode and you can get much closer: the PowerShot SX40 can focus down to 0 cm, which means your subject can be literally touching the lens (though you might need quite a bit of good lighting for that). The PowerShot SX40 HS has just a handful of scene modes; noticeably less than your average Canon PowerShot model but here they are anyway: portrait, landscape, smart shutter, high-speed burst, handheld night scene, low-light, beach, foliage, snow, fireworks and stitch assist. The camera also sports a Smart Auto mode where the camera can choose appropriate shooting situations based on situation. You can use optical zoom (the camera moves its lens slowly and quietly) while recording as well as toggle optical image stabilization, wind filter and continuous autofocus before starting a video clip. In addition, there’s an area in the menu to adjust sound levels. As usual, there’s a 4 GB per video clip limit for movies, with the addition of a 30 minute per clip limit with HD (1080p and 720p) settings; whichever comes first. All performance testing of the Canon PowerShot SX40 HS was performed using a high-speed 16 GB Lexar Pro SDHC card. The Canon PowerShot SX40 HS starts up extremely quickly; taking under 1.5 seconds to extend its lens and be ready for shooting. The PowerShot SX40 takes a fairly average time to lock focus; clocking in speeds of 0.2 to 0.5 seconds at wide-angle, stretching out to 0.4 seconds to 1 second and up at telephoto; both in good light. In low-light, focusing times can jump to 0.6 to 1.5 seconds, though the camera did manage to focus accurately with the help of the focus assist light. For the last few Canon compact camera reviews or so, I ranted about the lack of a high-speed full-resolution burst mode on Canon’s cameras. The PowerShot SX40 HS changes that, allowing to shoot at full 12 megapixels, with the option of picking ‘standard’ continuous shooting (which shoots at a tad over 2 FPS till the memory card fills up) or a new High Speed Burst HQ (that ups frame rate to 10 FPS, though you can only take 8 shots in a row). So no complains about the PowerShot SX40’s burst mode (yay!). The Canon PowerShot SX40 HS performs quickly and responsively with a very fast startup time, great shooting and burst mode performance. The camera does well in terms of autofocus performance, but it isn’t one of the main selling/strong points (other super-zoom cameras are faster in that respect). The Canon PowerShot SX40 HS does a good job in the image quality department. The camera produces detailed photos throughout most of its ISO range. Photos have relatively low noise from ISO 100 to ISO 400, with good saturation and sharpness. At ISO 800, you’ll notice some noise reduction going on with a slight drop in saturation and detail levels but image quality is still good and usable. Step up to ISO 1600 and there’s more noise in photos than the previous settings, but again photo quality remains usable, especially if you process them and reduce noise on your computer. At ISO 3200, there’s a larger drop in image quality with a noticeable decrease in color saturation and smudging in photos. I would recommend using ISO 3200 only when you have to, and be ready to be limited to small prints/display. The Canon PowerShot SX40 HS performs well in terms of lens quality. There is little lens distortion to be seen with its huge 35X zoom lens and the edges of photos are fairly sharp. Chromatic aberration (color fringing) levels are also low and nothing to be concerned about. I did notice some slight vignetting (corner shading) at certain points in the zoom range so that’s something to watch out for. The Canon PowerShot SX40 HS produces fairly good image quality. Photos are generally pleasing, which is a good thing to know since most folks are going to be using the camera with that versatile 35X optical zoom lens for a lot of things and variety of shooting conditions. There is only one notable flaw which is vignetting, which causes a slight dark gradient to be present in bright corners of photos (such as the sky), but just at some parts of the wide 35X zoom range. Head on to the Canon PowerShot SX40 HS photo gallery to examine full-sized sample photos taken using the camera. The Canon PowerShot SX40 has a great playback mode. The camera includes standard playback features like image rotation, protection, resizing and cropping; 10X playback zoom and image slideshows. The PowerShot SX40 automatically groups photos taken in a single burst modes in ‘stacks’ and includes a bizarre Smart Shuffle feature that suggests 4 (usually random) photos to jump to. There’s Movie Digest mode that connects and plays back the short video clips taken in the identically named shooting mode. There are a couple of editing tools which we’ve seen before on other PowerShot models: digital redeye removal, iContrast (enhancing image brightness and contrast) and tweaking My Colors (image effects)., plus a basic trimming function for videos. The Canon PowerShot SX40 HS shows you everything you need to know about your photos, down to exposure information, camera settings and a brightness histogram. The Canon PowerShot SX40 HS is a highly capable super-zoom with probably more than enough optical zoom (35X! 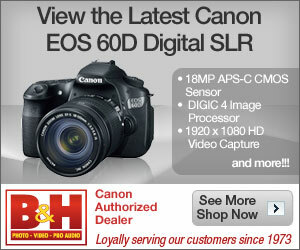 ), 12 megapixels of resolution and high-speed still and video shooting capabilities. The camera has a strong feature set: full manual controls along with automatic shooting and scene modes, along with a flexible hinge-mounted 2.7 inch LCD and excellent Full HD movie mode. The features of the PowerShot SX40 make it a good candidate for both still and video shooting. The camera is also somewhat flexible since you can attach an actual external flash to the hotshoe and filters via the optional lens filter adapter. However, as opposed to the competition which provides lens hoods in the box, the PowerShot SX40 only lets you have one as an optional accessory. The camera also doesn’t support conversion lenses. The Canon PowerShot SX40 also provides decent battery life along with good customizability; you can configure things on your own menu page, assign a function to the shortcut button or store a bunch of complete settings on two custom spots on the mode dial. The camera also does well in terms of performance with speedy startup and shooting times, though autofocusing speeds are just ‘average’ and could use some improvement. The Canon PowerShot SX40 HS is a great super-zoom camera that I can definitely give a thumbs-up to. The camera performs well in all respects and there’s little to complain or even nitpick about. The camera certainly isn’t the fastest in class, but it does have ‘versatile’ written all over!